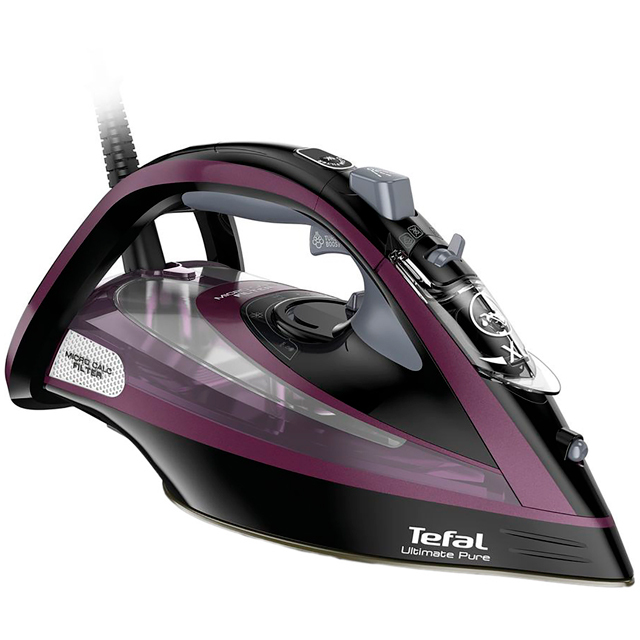 This Tefal iron is exactly what you need to effortlessly get through that mountainous laundry pile. Thanks to its Durilium Airglide soleplate, it’ll glide smoothly over any fabric, and with a continuous steam output of 55 grams per minute, it’ll quickly blast out any tough crinkles. Plus, the handy precision tip lets you target awkward areas, making it super-easy to get under the collars of your shirts. Or, if your curtains are in dire need of freshening up, the vertical steam feature is great for straightening them without having to take them down. This model’s anti-calc collector prevents the build-up of calcium too, to keep it working at its best.